William (Bill) Eugene Zion: Born March 11, 1938, entered glory July 20, 2018. Bill moved to Ocala Florida from Monroe Michigan with Mitzie Zion his wife of 41 years in 1992 after retiring from General Motors in Toledo Ohio. He was a dedicated husband, father, grandfather, son, and brother. He dedicated his life to God and the church serving in multiple capacities. His service included helping to found the Stewart Road Church of God in Monroe Michigan, Music Director, Choir Director and Youth Minister. An avid sports fan, he supported local sports programs in Michigan and Florida, played on and managed several fast pitch softball teams, played semipro football for the Denver Broncos organization in the early 1960s and officiated high school and college football and basketball. As an expert drummer he gigged with a host of world class musicians including Jimmy McGriff and Gospel Group the Songs Men. 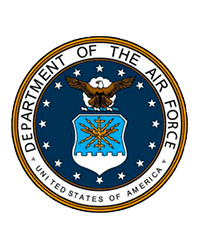 Bill’s life of service included a stint in the United States Air Force as an Airman First Class and was stationed in Omaha Nebraska at Strategic Air Command. Bill was preceded in death by his sister Evelyn Wylie and is survived by his loving wife Mitzie Ann Zion, brothers Ron Zion and Jerry Keith Zion, children Brett Zion, Holly Zion, Mike Pierson, Kim Jones, grandchildren, Andrea Jones-Wei, Amber Pierson, Jonathon Diaz, Kara Brand, Zachary Diaz, Hannah Verhalen and great grandchildren Kilee, Ella and Mackenzie Brand, Brooklyn Diaz and Logan Wei. Funeral service will be at 12:00 p.m., Friday July 27, 2018 at Countryside Funeral Home, Anthony, FL, with the Pastor John Childers officiating. ​Visitation will be one hour prior to the service. Arrangements are under the care of Countryside Funeral Home, Anthony, FL.